As parents, we know that not all kids like vitamins. Some moms are lucky not to have any troubles making their children take their vitamins, while some are unfortunately finding it a very difficult and challenging one. 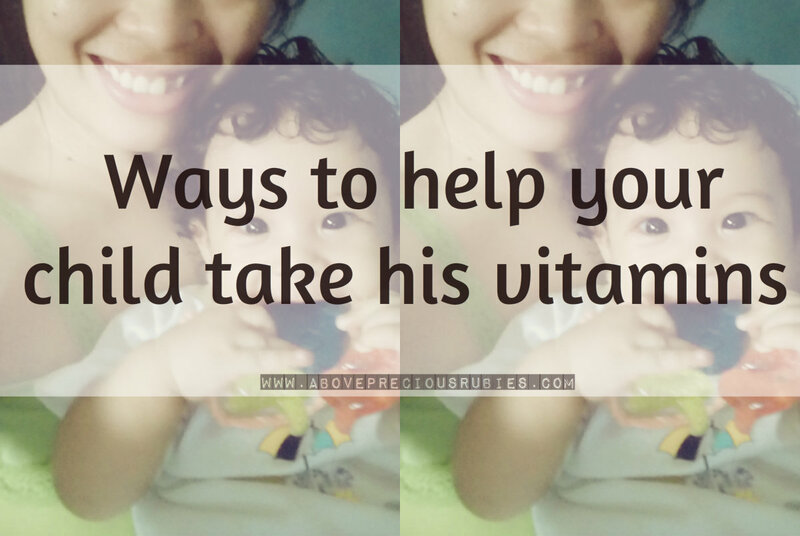 Because I was exclusively breastfeeding Nate for 6 months, giving him vitamins was also a challenge for me back then since he wasn’t used to any other flavor other than my breast milk. We had several trial and errors and sometimes, I would get frustrated specially when I see him spit out everything, or cry every time he sees the dropper and vitamin bottle. Dietary supplements are very important for our children. They supply the vitamins that our kids don’t get from the food they eat. If you are like me, these tips may help you make your child take that vitamins! Most moms find this a very helpful way in making their kids take their vitamins. Some moms hide it using juices, yogurt, and smoothies. Sweets are perfect disguise to make kids not even notice there’s vitamins in the drink they’re enjoying! lol! 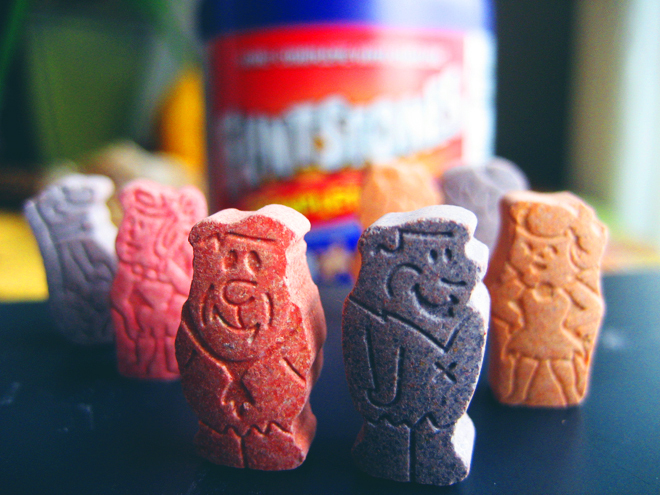 Many kids have no problem taking chewable vitamins. To them these are like candies so they loooove it! Most of them will even ask for another one! lol! I’ve never tried this on Nate but I know some kids who are taking chewable vitamins instead. In the Philippines, it’s most commonly known as “hiyang”. Since each child is different, how they react with the vitamins also vary. There are brands that our mommy friends suggest that we try and we see it works very well on their kids so we want to give it a try too. But what works for other kids may not work for your kid. So it’s best to try another brand if you think your child isn’t “hiyang” on the vitamins he’s currently taking. 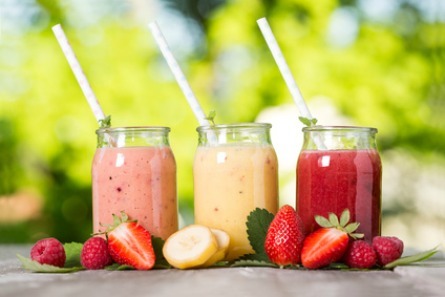 Liquid vitamins are the ones most commonly used and are very popular in the market. It’s the safest, most effective and easiest way to give to our kids. Most of these vitamins have flavors that your kids will surely love. One of the cheap but effective liquid vitamins to try is Nutri10 Plus food supplement. It is a sports active formula riched in Lysine, Zinc, Taurine and CGH which are effective in helping our kids be “aktibo’t-magana”. 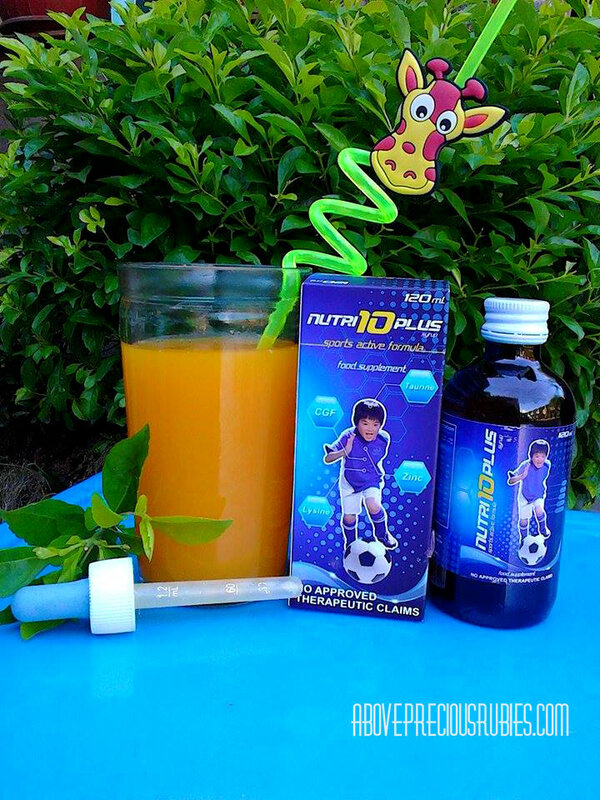 Nutri10 comes in a sweet ponkan flavor that your child will like! The moms whom I gave this product to try out on their kids are giving this product a thumbs up! If you are still thinking of a vitamin to use for your kid, you might want to give Nutri10 a try.